We didn't see this coming, even though everyone has been telling her it's likely for the best. Wendy has always seemed adamant about not leaving her husband even after her visible emotional distress amid cheating rumors. Clearly, that's changed and the ring is off. Just weeks after news broke that Kevin Hunter & his alleged mistress of 10+ years, Sherina Hudson, recently welcomed a baby into the world, it's a wrap on the Hunter marriage. 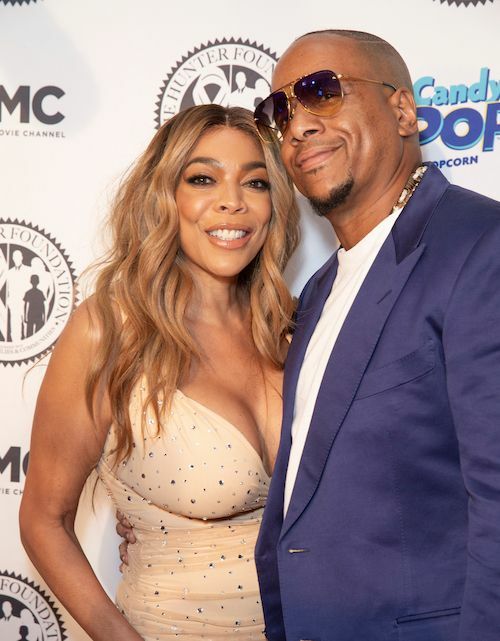 Wendy Williams has filed for divorce after nearly 22 years of marriage. The talk show host has been living in a sober house for several weeks, maybe a couple months, after going through the hard times and a possible relapse in her admitted addiction. Kevin has been by her side daily (and allegedly still by his supposed mistress' side too), picking her up and dropping her off from the sober house. He's also been seen at the studio while she's back at work on "The Wendy Show." Wendy didn't mention anything about her divorce on the show today, so it will come as a surprise to her fans that she actually took the leap. We did report earlier this month that she was allegedly exploring separation from Kevin. The divorce, confirmed by her lawyer, will likely come as a surprise to Kevin Hunter too, since she served him this morning at 6:30AM. The talk show host is divorcing her husband of nearly 22 years, Williams’ attorney confirmed to Page Six Thursday. A separate source told us Williams served Hunter with divorce papers at 6:30 a.m.
Whew chillay. She said in her 2001 memoir the only way she would leave her husband - who he caught cheating on her back then - is if he created a baby. And, here we are. The couple shares a teen son, Kevin, Jr.